It took the words of a rock star and a comedy actress to demonstrate the lunacy and callousness of the Australia’s government reluctance to pass a marriage equality law. Bon Jovi will visit four cities to perform their new album, This House is Not For Sale, in its entirety with each show being done at a much smaller venue than where the band normally performs. Combine the power of Bette Midler with the popularity of one of the longest-running musicals in Broadway history, and you get blockbuster ticket sales. The Red Hot Chili Peppers have set the first 24 dates of their 2017 touring schedule with shows across North America. Timothy B. Schmit will release his new solo album ‘Leap Of Faith’ later this week. Check out his new song ‘Red Dirt Road’. 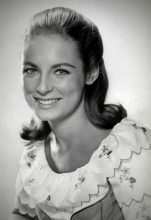 Charmian Carr, best known as the character Leisl in the 1965 movie The Sound of Music, has died at the age of 73. Despite a year-long campaign by a fan, the Kennedy Center has decided not to include Don Felder, Bernie Leadon, and Randy Meisner as part of the Eagles' Kennedy Center Honors. 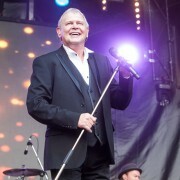 John Farnham’s headline Red Hot Summer show in Mornington, Victoria sold out in six minutes this morning prompting promoter Duane McDonald of Regional Touring to add a second show. 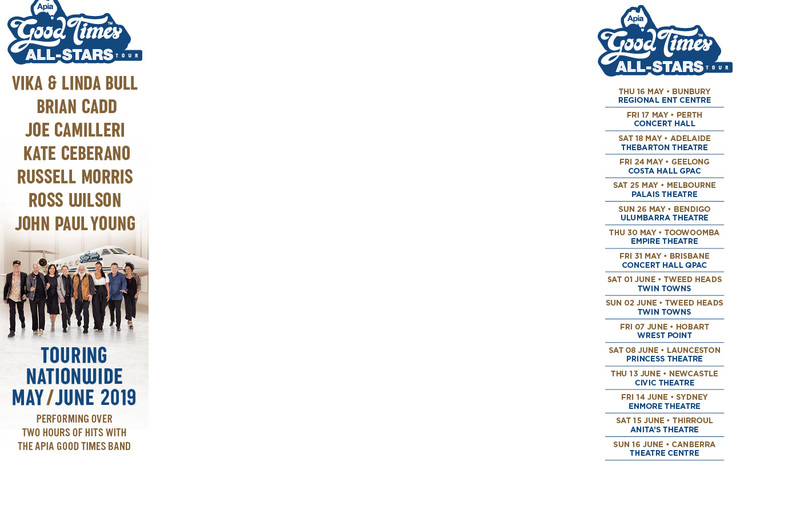 Patti Smith, Bonnie Raitt and The Lumineers are the first acts announced for Bluesfest sideshows for April 2017. Green Day has been forced to cancel three of the first four shows of their new tour after both band and crew members have come down ill.
Liberation will release a 3CD volume of 'Molly Counting Down The Hits' for Christmas 2016. Terry and Susan Jacks, the married couple who were at the front of the Canadian group The Poppy Family, are both hospitalized with serious medical conditions. 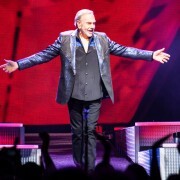 Neil Diamond certainly loves singing about the season to be jolly. 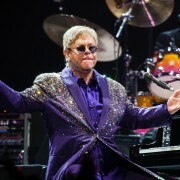 His fourth Christmas album is on the way. The Chainsmokers and Halsey are sitting at No.1 on the ARIA Singles Chart for a sixth straight week with their current US and UK track "Closer". 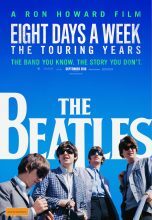 Paul McCartney says he was a fan of Happy Days and that helped Ron Howard get the job as director for the movie ‘The Beatles: Eight Days A Week - The Touring Years’. Crowded House will return to the steps of the Sydney Opera House in November to mark the 20th anniversary of their iconic Farewell show in 1996. Stevie Wonder, Christina Aguilera and Chaka Khan will be among the friends and fans of Prince who will honour the tragic music icon at an official tribute in his native Minnesota next month. Coolio and his bodyguard are living the Gangsta's Paradise after being arrested at Los Angeles International Airport on Saturday afternoon after a gun was found in one of their bags. Jerry Corbetta, the lead singer for Sugarloaf, died Friday in Denver, CO at the age of 68. He had been suffering from Pick's Disease for a number of years. The Avalanches will finally activate for live shows in January. The new Mac Miller album ‘The Divine Feminine’ is leading first day sales for album releases in Australia but Nick Cave’s ‘Skeleton Tree’ will capture the week. The Chainsmokers and Halsey ‘Closer’ is the song most Australias streamed last week. The momentum of The Chainsmokers and Halsey hit ‘Closer’ is blocking every potential new hit from reaching the number one spot in Australia. Neil Young has released a video for the song Indian Giver in support of the Native American and Canadian protesters who are opposing oil pipelines on their lands. A newly released song featuring B.B. King is being released tomorrow, September 16, 2016, for what would have been the King of the Blues' 91st birthday. The Rainy Day Blues performed by B.B. King and the band DizzyFish is an instant classic even though it was originally recorded some 25 years ago. The Pixies have released a statement about the condition of founding member and lead guitarist Joey Santiago. Sting, the AFL’s worst kept secret, has been officially confirmed.